The Blu-ray player has been awarded the ‘High-End UHD Blu-ray Player’ by the European Imaging Sound Association. “The EISA award is one of the most prestigious consumer recommendations that a product can achieve. The EISA judges’ acclaim recognises the player’s market-leading picture and sound, as well as citing its impressive design and build,” added Waters. Powered by a Hollywood Cinema Experience Processor, the UB9000 boasts HDR adjustment technologies. 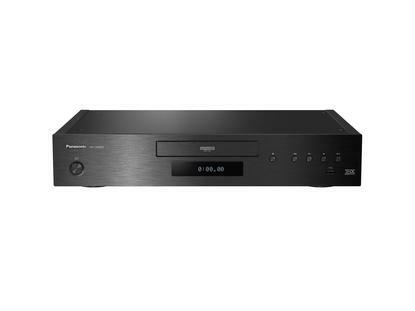 Panasonic say the UB9000 features high sound quality thanks to its analogue audio circuits, including a dedicated audio power supply, a high-performance D/A converter, and XLR balanced output. The player also offers hands-free easy operation thanks to voice control from Amazon Alexa and Google Assistant. The UB9000 will be available in mid-November for $1649.